The Overland Track is Australia’s premier alpine walk. It’s an 82 km, seven-day trek through the heart of the Cradle Mountain-Lake St Clair National Park, part of the magnificent Tasmanian Wilderness World Heritage Area. 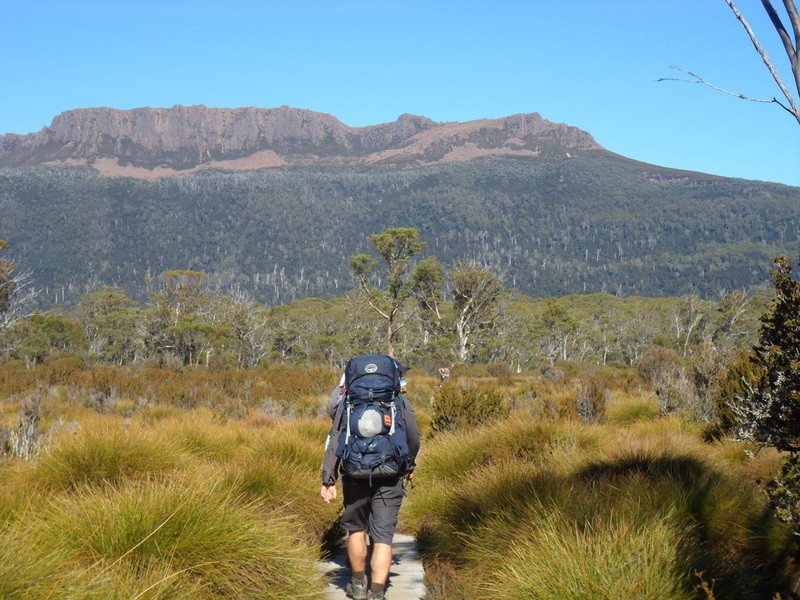 The stunning scenery and the physical challenge of the Overland Track have assured it a national and international reputation as one of the great wilderness bushwalks. Detailed information, including track notes, booking information, and costs are available from http://www.overlandtrack.com.au. The Wikipedia entry is https://en.wikipedia.org/wiki/Overland_Track, it includes a map and various interesting statistics. We tackled this walk with 5 scouts (Jeremy, Nathan, Tom, Jonah, Jamie), 3 venturers (Melanie, Scout, Aaron) and 5 leaders (Neville, Stuart, Adrina, David and Glenn).